What Is an Indicator for a Titration? The simplest way to track the progress of a titration is with the use of a chemical called an indicator. 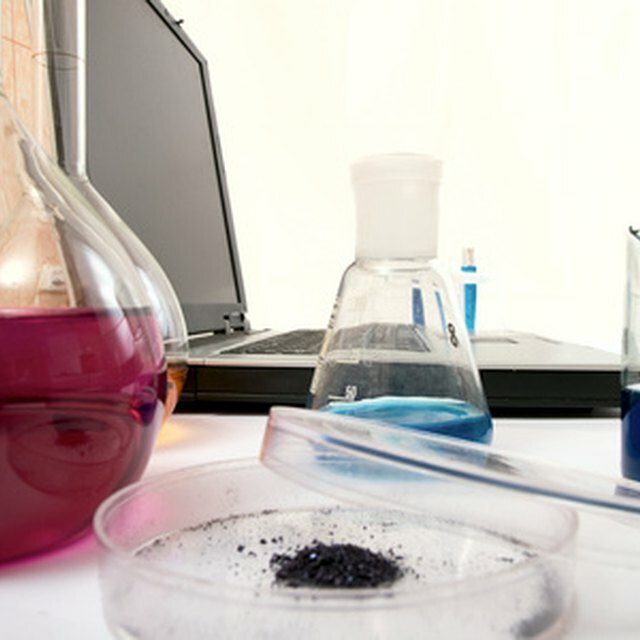 The most common kind of titration is an acid-base titration; these experiments are monitored with the aid of a pH indicator like phenolphthalein or thymol blue. You should add a couple drops of your chosen indicator before beginning the titration; while performing the titration, follow the steps outlined below. Look up the pH indicator using the link in the Resources section if you are performing an acid-base titration. The pH indicator is a chemical that changes color over a given pH range. Before beginning your titration, you should have added a couple drops of the indicator, so you'll already know which one you are using. The link under the Resources section will tell you what color change to expect when your titration is complete. Swirl the flask of analyte while adding titrant from the buret. (The analyte is the chemical you are testing in the titration, while the titrant is the standard you are adding.) Swirling will make sure the analyte remains well-mixed so that the color change (when it occurs) is an accurate reflection of the pH of the solution. Try placing the flask containing the analyte on a piece of paper or a Kimwipe. The white background will help you see the color change when it occurs. Add titrant slowly. 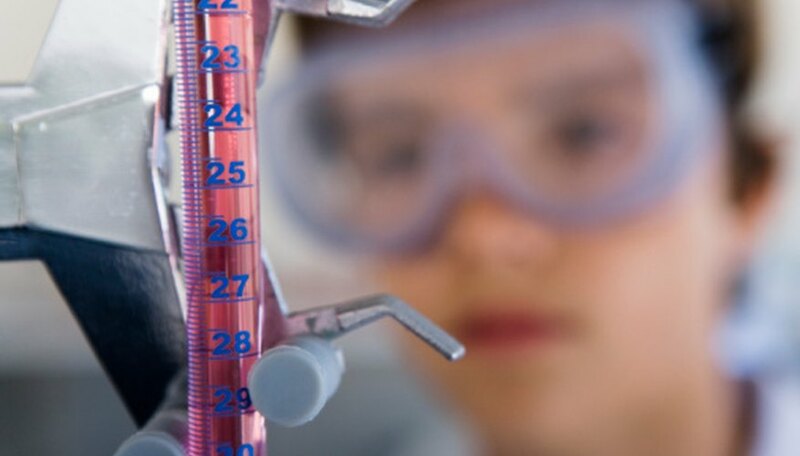 If you add titrant too quickly, you could easily overshoot the end point of your titration, at which point you may need to repeat the entire experiment. Watch the solution closely for the color change. Once the solution begins to change color and the new color persists for at least 30 seconds, you have reached the end point of your titration. The most common mistake is to add titrant too quickly and overshoot the end point. Try doing a "quick and dirty" trial run to get an idea of how many milliliters of titrant are needed to reach the endpoint. Once you know approximately where the endpoint is, you can go back and do a more careful second trial; this time, you can add titrant quickly until you begin to approach the volume you added in the first "quick and dirty" trial and then slow down and add titrant just a drop at a time. Brennan, John. "How to Know When a Titration Is Complete." Sciencing, https://sciencing.com/titration-complete-8342303.html. 24 April 2017.